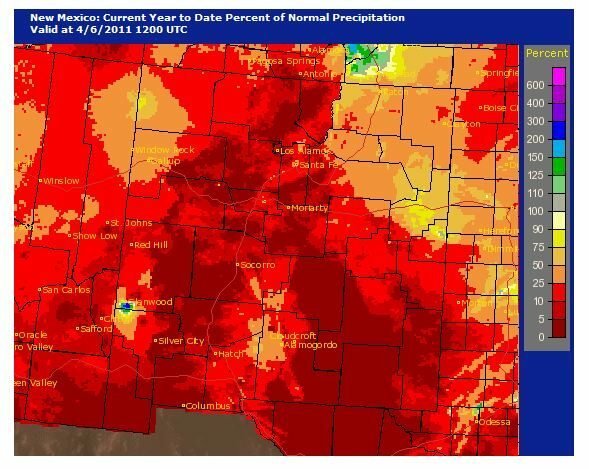 While the rest of the country has been pummeled by rains, tornadoes, and snow the past several months, the drought continues in New Mexico. The “Tire Fire” started after a tire was blown on a vehicle. When the tire blew, sparks from the vehicle wheel caught nearby grass on fire. 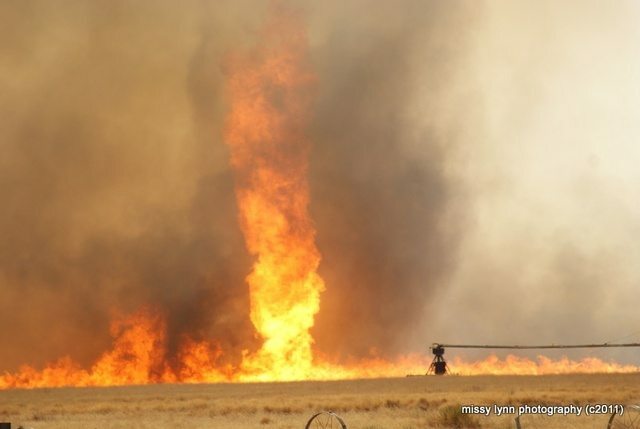 Picture of one of several fire vortexes. The fire is burning between Melrose and Floyd, New Mexico. 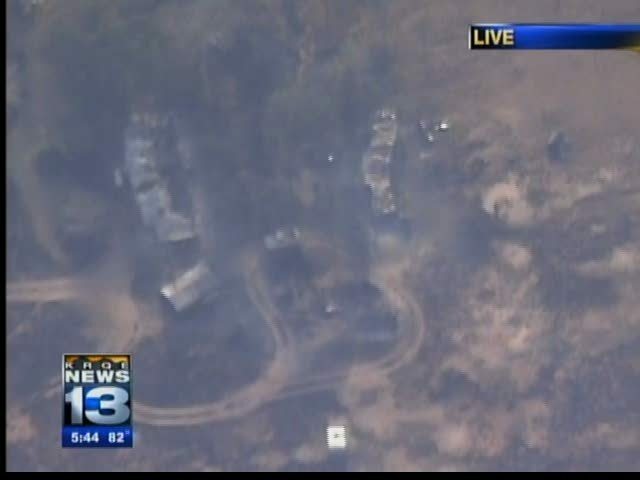 It has burned three homes and is estimated at 17,000 acres. The fire continues to burn east toward the area south of Clovis, New Mexico. 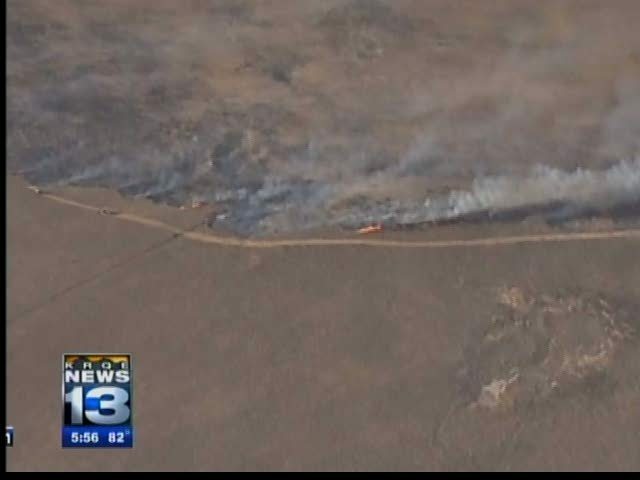 It has burned a line about 20 miles long and 1.5 miles wide and is 15 percent contained. 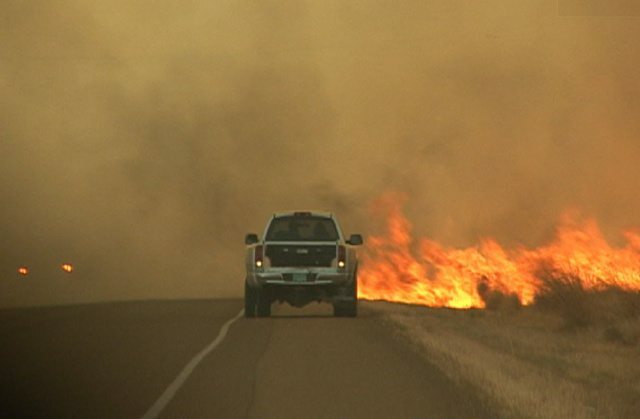 Homes along Highway 467 at the Roosevelt County Line and residents south and east of U.S. highway 70 are being evacuated. U.S. highway 70 is closed between Clovis and Portales, New Mexico. About 30 fire departments are helping to battle the flames. 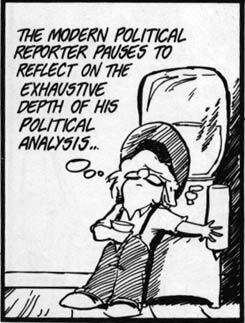 Current drought status in New Mexico is “severe” to “extreme”. State forestry officials say the Curry County “tire fire” is 90 percent contained Sunday night after scorching more than 17,000 acres. A spokeswoman for the Clovis Fire Department says three firefighters are being treated at the hospital for burns and smoke inhalation. 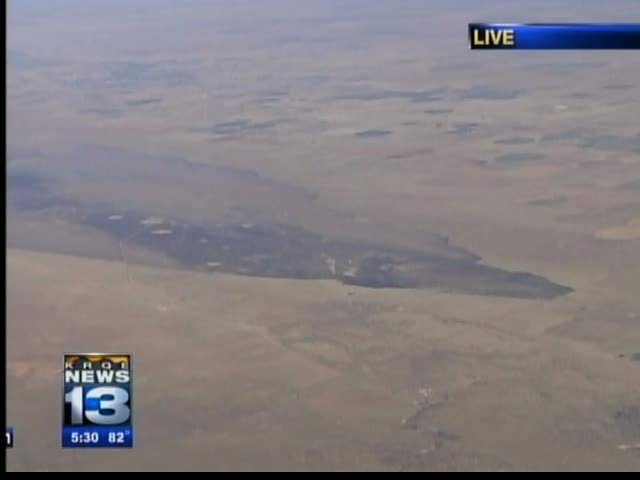 The fire has left a 1.5 mile wide, 22 mile long scar between southern Curry County and northern Roosevelt County.